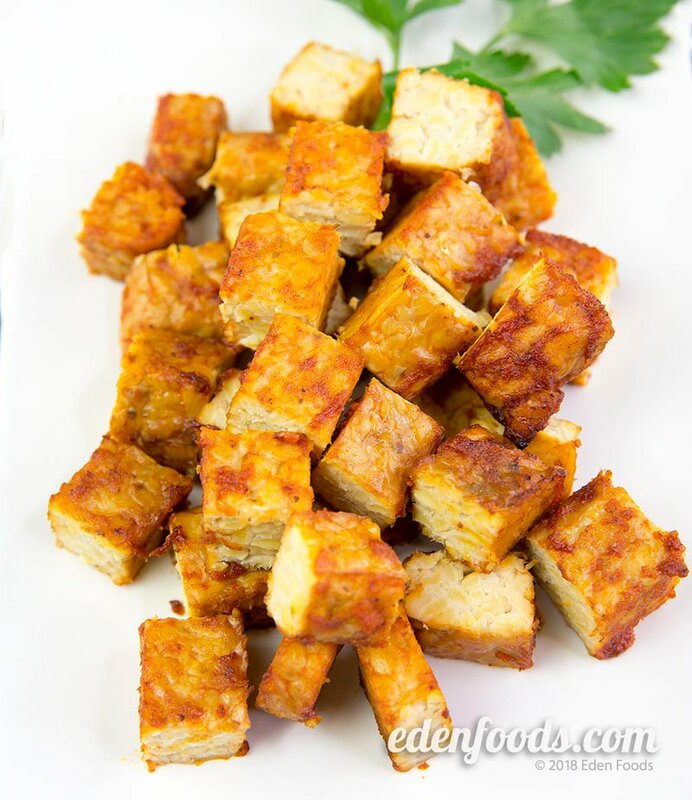 Place the tempeh in a steamer and steam for 15 minutes or boil in water just to cover for 15 minutes. While the tempeh is cooking, prepare the sauce. Place all ingredients for the barbecue sauce in a blender or food processor and puree. Remove the sauce and place in a bowl. When the tempeh is finished cooking remove and place it on barbecue grill. Baste both sides of the tempeh and grill 5 minutes or so on each side. Remove and slice or cube. Variation: This sauce is delicious on tofu, seitan, shellfish and seafood or vegetable shish kebabs. If a barbecue grill is not available this can be done either in a cast iron skillet on top of the range or under the broiler.